The village of Zschadraß, formerly a municipality of the district of Leipzig but now part of the town of Colditz, is comprised of an area of 32.47 km2 (12.54 sq mi) with a population of approximately 3297 people. Wanting to improve the local economy and the environment for current and future generations, long-time Mayor Matthias Schmiedel has made renewable energy development a priority. The village currently has a goal to become energy independent using 100% renewable sources by 2050. Already in the year 2000, the underdeveloped village saw that tax revenue was unlikely to increase. The community sought to reduce long term energy costs and boost revenue by generating energy for electricity, heating, and fuels onsite with a combination of solar, wind and bio energy. 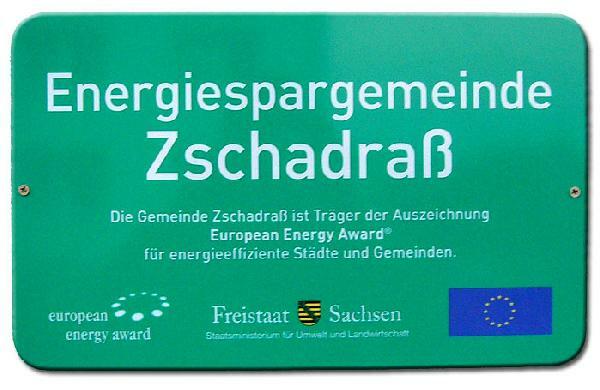 Despite initial ridicule for the plan, renewable energy sources made up 24 percent of the Zschadraß's overall energy mix by 2007. The village has also already surpassed the 100 percent renewable target in the electricity sector. 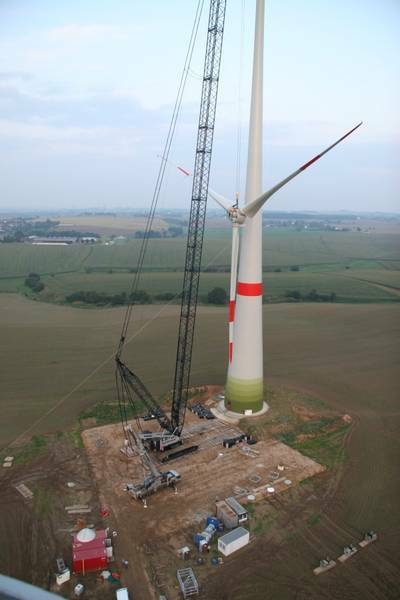 Part of power mix is supplied by a 2.2 MW wind turbine, which at 138 meters tall is one of the largest in the region. The community invested 20 percent of the project's total costs of approximately 3.2 million euros through a local foundation and association, with a private operator from the village covering the rest. This wind turbine feeds clean electricity into the German grid and is remunerated under the Renewable Energy Act, Germany's feed-in tariff law. The revenue is expected to pay off the loan after 15 years, after which it will turn into pure profit for the village. "In the future, all children of Zschadraß will get a place in kindergarten for free, paid for with the proceeds of the wind turbine," says Mayor Schmiedel. In addition to investing in wind power, solar photovoltaic systems are on nearly all public buildings, such as the school, fire station and local council. The community owns the solar panels, and a local foundation maintains them. The solar panels generate a revenue of about 17,000 euros a year for the power they generate, per the German feed-in tariff law. This revenue brings the community financial freedom. Projects eligible to benefit from these funds are annual ecological programs for children, school meals for children of low-income parent, summer camps, or community transportation service. Profit from renewable energy plants typically fund community programs like childcare because it is not legal for municipalities to directly take the money. This is why the renewable energy projects in the village have been outsourced to local clubs and foundations, which still provide opportunities for local citizens to benefit without legal barriers.